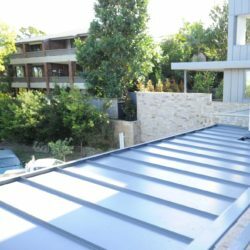 Our Snap Lock Panels (for roof and wall) and Interlocking Panels (wall only) are pre-fabricated and ready to install by builders or roofers. Technical installation support available with sale. Bring an architectural finish to any project – while saving time and cost on installation. Available in a Colorbond colour of your choice.